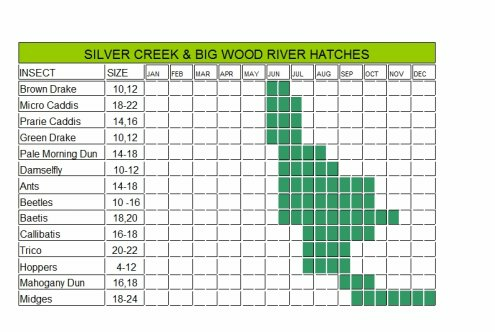 The use of the Silver Creek hatch chart is very important when fly-fishing. 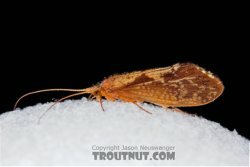 If you understand what insects are present on a stream at a given time you will be better prepared. Fish are use to seeing certain insects in their stream at a certain time of the year. So if you know what is hatching you will know what type of fly fishing flies to use and that will increase your odds of catching fish. Another thing to do instead of using these fly fishing hatch charts is to visit your local fly shop. 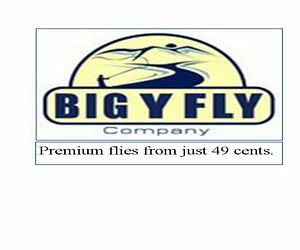 Local fly shops around Silver Creek ID, are very helpful and will let you know what flies to use. If the local fly shop guy is an avid fly fisherman, which he or she probably is, you should be able to get some great helpful information from them. They tend to fish many of the local streams and rivers and they stay in touch with other anglers as well which gives them valuable information to share. All of this is great information, but if you get to know them well enough they may even share their secret fishing spots. Find out more about this great fishing location. Leave the Silver Creek hatch page and go to the Idaho page.